This volume contains a selection of papers from the 21st annual 'Australian Association for Professional and Applied Ethics' Conference. 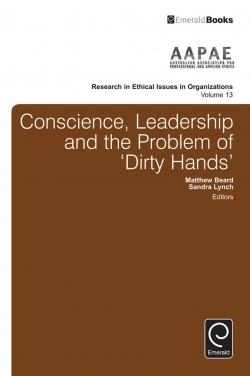 It addresses the key theme of Political Leadership, Professional Ethics, and the Problem of Dirty Hands. 'Dirty hands' is a somewhat nebulous concept. It may refer to professions whose objectives are so consequential that some ethical violations are considered justifiable. In another sense it might suggest situations where professional obligations might require the performance of deeds that contradict one's own moral beliefs. The term is perhaps most synonymous with political leadership and raises the question: Should leaders ever get their hands dirty? For applied ethicists, recognizing that sometimes there are compelling arguments in favor of certain moral violations is a professional necessity. This volume contains papers on a broad range of issues including discussions of medical ethics, military ethics, domestic political matters, and the very nature of 'professions' themselves. It will be of interest to those interested in politics, as well as those involved in research or training in ethics and professional practice. Revisiting the Concept of a Profession. Dirty Hands and Commissions of Inquiry: An Examination of the Independent Local Government Review Panel in NSW, Australia. What Human Rights aren’t for: Human Rights Function as Moral, Political and Legal Standards – But not as Intervention-Conditions. Even Dirtier Hands in War: Considering Walzer’s Supreme Emergency Argument. Keeping Hands Clean in War: The Double-Effect Approach to Killing. The Dirty Hands and Pure Hearts of Revolutionary Leaders: Love and Hate in Jesus and Che Guevara. Friendship, Love and Politics. An Examination of the Principles-Based Ethics by which Red Cross Personnel Evaluate Private Donor Suitability. Unpacking the Beliefs and Attitudes of Australian HREC Members: An Examination of Influences on Reviewer Decision-Making. Keeping Hands Clean and Patients Safe: How to Regulate Conscientious Objection of Roman Catholic Doctors. The Virtuous Physician? Towards a Renewed Hippocratic Ethics. Quandary in Utopia. About the Authors. Copyright page. Conscience, Leadership and the Problem of ‘Dirty Hands’. Introduction to the Volume. List of Contributors. Research in Ethical Issues in Organizations. 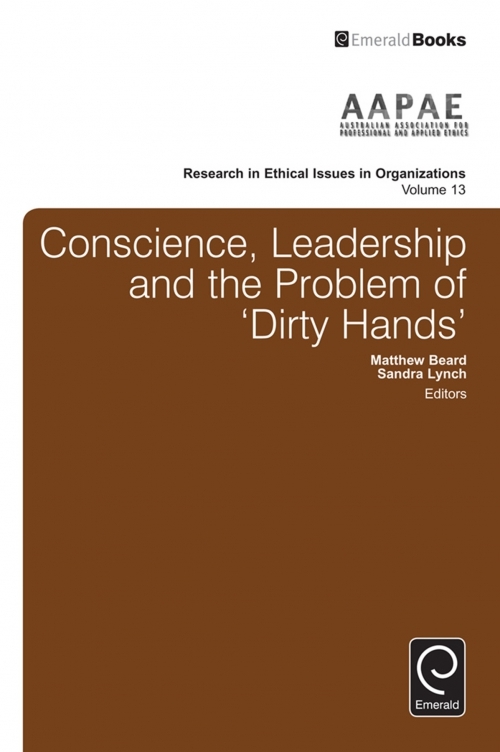 Conscience, Leadership and the Problem of ‘Dirty Hands’.